One of the many wonderful things about London is that one can almost always find an alternative. To anything. For example, if you wished to cheer on either Oxford or Cambridge in a competition, on Saturday, but didn’t fancy gathering with the crowds along the Thames to watch the world famous boat, there was an alternative. A funny, wacky alternative. At Spitalfields City Farm. 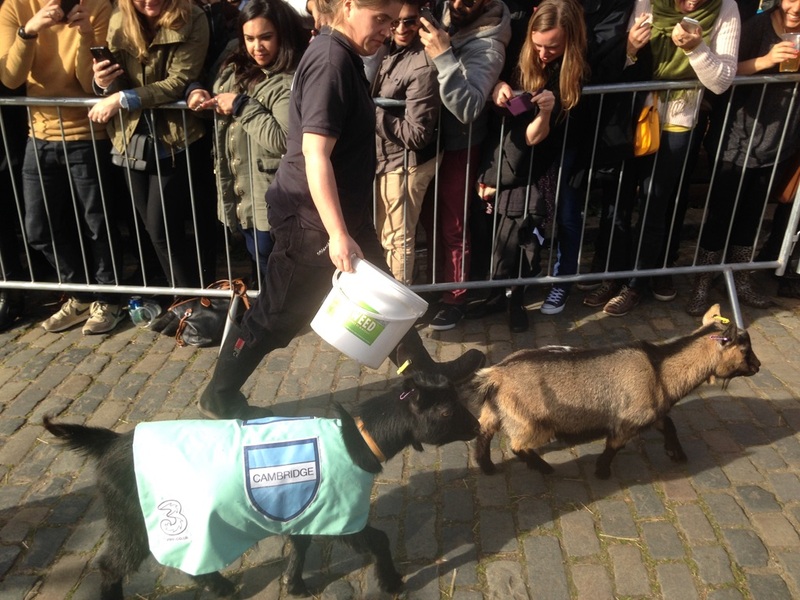 The Oxford & Cambridge Goat Race. 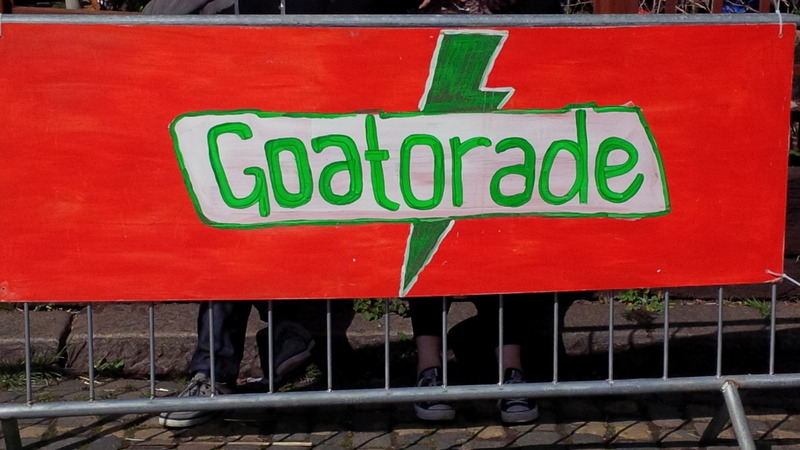 Yes, you heard correctly, goat race. But this is no dire country fair offering. It is East London, afterall. Hipster heaven. Punster paradise. Clever fun all round. Spitalfields City Farm, located just off the crowded and chaotic Brick Lane, has been a community farm since 1978. With animals and gardens and wildlife of flowering and winged variety. It offers educational courses, sch ool visits and fresh produce and for the last 7 years, been the host to the annual Goat Race. Over 1,000 lucky ticket holders swarmed the farm, eating, drinking, petting animals, admiring plants, smashing friends with goat masks over the head with soft mallets, listening to folksy singers, and parading about in fancy dress. Or not. Hard to tell in this part of London. 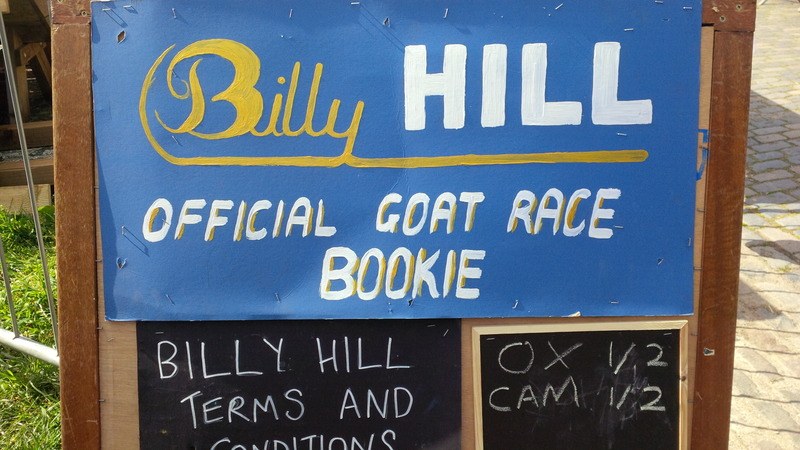 Of course there was a bookie, “Billy Hill” no less, and he was doing a brisk business. 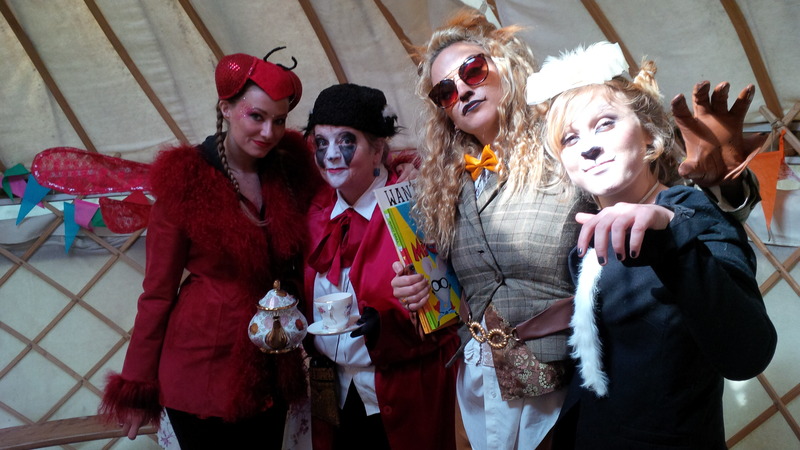 I was served a delicious cup of tea by a Badger and her woodland companions. 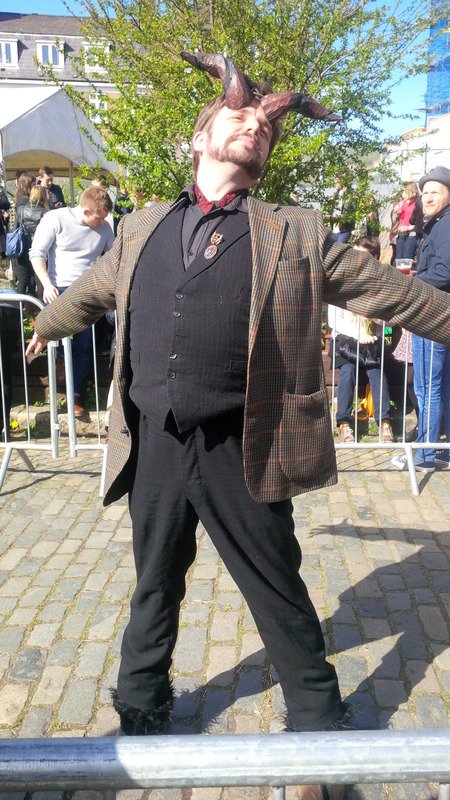 And then the fun really started, all brillantly MCd by a man in a tweed jacket, horns and hooves. A poetry competition (of course there was!) with winner receiving big bottle of gin and cucumbers for goat of her choice. Goataraoke…..just like karaoke but all songs to be sung in goat; I am constantly amazed at the secret talents of strangers. A Coat Race (because it rhymes with goat): a child’s birthday party game made more interesting by the fact that several of the contestants seemed reluctant to return the shabby, vintage props at the end. 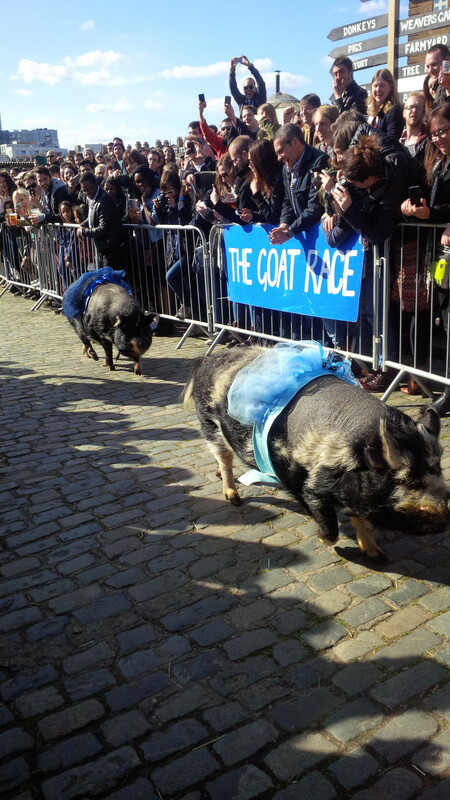 Pigs in tutus raced. They were speedy. And adorable. Cambridge won.